As we wind down 2016 and my four year commitment to help launch our Outreach Ministry and serve as President with ACCW comes to an end (I must relinquish myself as President no later than February of 2017, at the annual meeting), I want to make sure you know who to contact and direct questions to regarding our all-volunteer team and ministry. It is our desire to move forward with new leadership, new ideas, fresh starts, and allow others to gain maximum participation in their faith journeys through ACCW (and wean off and end any "keku-centric" habits). Of course I will be involved as a run leader and continue with the Van Coordinator responsibilities until someone steps forward (as no one has volunteered as of this writing), and act in the capacity of an advisor for the remainder of 2017, to our ACCW BOD and our Vice Presidents and eventual President elect. However, I will be spending more time on the Big Island with my growing family, and I must give more time to our expanding family business and proceed into other spiritual "directions". I cannot thank enough VP Deb Lynch, VP Paula Baldwin, Secretary Mary Lou Mellinger and Jeanne & George Abe and the supply team ( Susie Davis, Marilynn Hirashima, Toni Paul, Cindy Akana, Marcia Spieker ), and the many others who have helped over the years. They have spent countless volunteer hours helping make my years of service much, much easier, and and of course, our dedicated run leaders who take the risk of showing leadership and our outreach riders, who are willing to have direct engagement with our poor, week in and week out. I also must thank our Maui Episcopal Churches "for stepping out in faith and hustling" and of course our Hawai'i Episcopal Diocese that includes Bishop Fitzpatrick who encouraged risk taking mission and supported it fully (trying to bring radical mission back to being "instinctive normal mission"), and his Diocesan staff: Irina, Peter and Sybil! There are many other's of course: Rev. Linda & John Decker, Peter Lee, Jeanne Fiddes, ALL of our Priests, most especially those who have left our shores: Fr. Marvin Foltz , Fr. Austin Murray, our 'west side rider Fr. Bill Albinger and Dcn. Cris South --- Mahalo to all of you, and please, please forgive me if I did not mention you-- this email would go on for days. This model of mission-service that we have created on Maui has some very crucial components: that being it is a truly all-volunteer model which places its mission in the "spiritual-gratitude for life" service, spreading responsibilities throughout a wide and broad spectrum of committed volunteers from many walks, refusing any notion of salary by making loving service our source of "income" which then creates a 100% distribution model of resources to our poor, while not accepting or relying on the empty well of government money and organizational red tape. With Deb, Paula and Mary Lou and the entire volunteer team we have in place, it is much, much easier, but they too have a timeline on their commitments. Will one of you step in? Can you offer yourselves up to an ACCW BOD commitment? Can one of you take on just ONE of our responsibilities? Will one of you step out? Can one of you take your ideas and implement them in community? Can we move ACCW forward, ensuring its spiritual roots are kept primary and are never lost, rooting our baptismal covenant deeper and deeper into tangible service and not just creed? Who will go for Yashua? Anything to do with the Master Schedule; creates and distributes the ACCW Master schedule 3 time a year; works closely with the VPs. BOD member who represents our Episcopal Clergy and our clergy friends; liasion between our Clergy and the greater ACCW family. 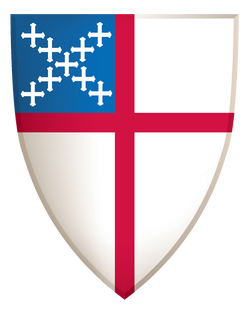 Represents the Bishop of the Episcopal Church in Hawaii at each ACCW BOD meeting; acts as a liaison between the Bishop, the Hawai'i Episcopal Diocese and ACCW. Our other ACCW BOD members include Rev. Linda Decker, Dr, John Decker and Jeanne Fiddes (anything to do with the medical packets). All of them can help guide you through any questions you may have regarding ACCW. They have been with us from the "giddy-up & go"
This is a all-volunteer position which will help ensure that our ACCW Van is mission ready at all times. Ensure the Van is kept in a safe and operational condition. Ensure the Annual Registration, safety check and Auto Insurance's are paid and completed on a timely basis. Ensure that all legal paperwork is properly maintained and updated in the Van. Ensure that the Van is serviced on a timely basis and as recommended by the Nissan Maintenance Manual (regular maintenance schedule). Ensure that the Van is taken into the shop if any mechanical, operational or any other issues arises.